Alma enjoys regularly working with clients to create bespoke pieces. Winner of multiple design awards, Alma is competent and experienced in working with a brief – from initial idea to finished product. If you are interested in discussing your ideas with Alma, please get in touch, I would love to hear from you and answer any questions you might have about the commission process. 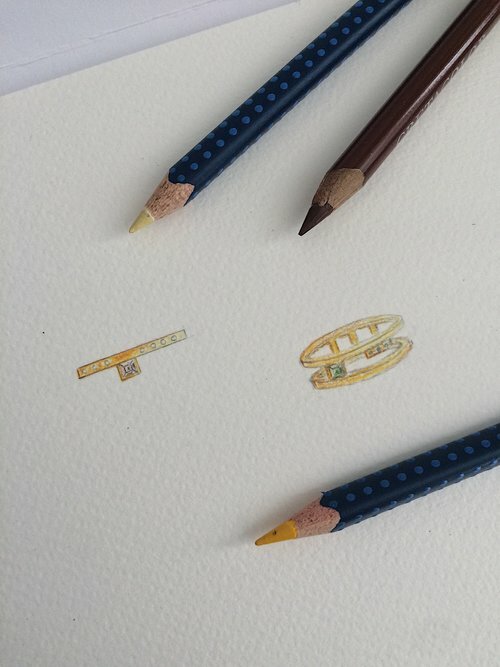 Interested in the idea of commissioning a piece of jewellery? Click HERE.